“The Story of Rose”, the legendary love story penned by Yi Shu that was made into feature film starring Maggie Cheung, immediately conjures up an image of innocent beauty. 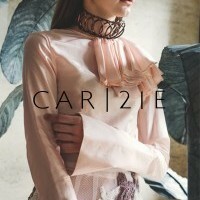 The CAR|2IE Fall/Winter 2019 collection, “The Proud Rose” finds its muse in the character of Rose, creating ensembles that unabashedly celebrate femininity. This season’s collection features a lot of mesh with embroidery and exudes confidence and refinement. The collection will include reversible jackets, plain on one side and embroidered on the other, showing people can be colourful and calm at the same time.